Welcome to another edition of the ManageWP Plugins of the Month series! For the most part the plugins I feature in this monthly roundup are manually selected from a dynamic list that filters by various variables (such as average rating and number of downloads). That is what makes the ManageWP Plugins of the Month series unique — it features only new and relatively unknown plugins. However, on occasion I will stumble across a plugin myself that cries out for inclusion. This month I actually have two such plugins, which only serves to lift the overall quality of the selection on offer. Enjoy! …and any future uploaded images that are larger than the specified dimensions will be automatically downsized. In addition to this you can also set the plugin to automatically convert BMPs into JPGs and set the default compression rate for JPG images. Imsanity also has a bulk resize option so that you can reduce the size of images already uploaded. Weather widgets have relatively minor appeal but Alfie WP Weather was such a nice little plugin that I felt obliged to include it here for those who will find it of use. 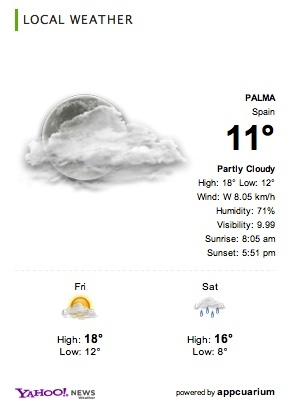 As you can see, Alfie WP Weather utilizes the Yahoo! API for its forecast data. You can select the location for which a forecast is provided and customize what information is shown to a fairly comprehensive level of detail. This plugin leaves little to the imagination — it allows you to include a widget within your site that displays a list of random posts. You have a good amount of control over what is displayed with customization settings including the number of posts, date, excerpt and thumbnail. 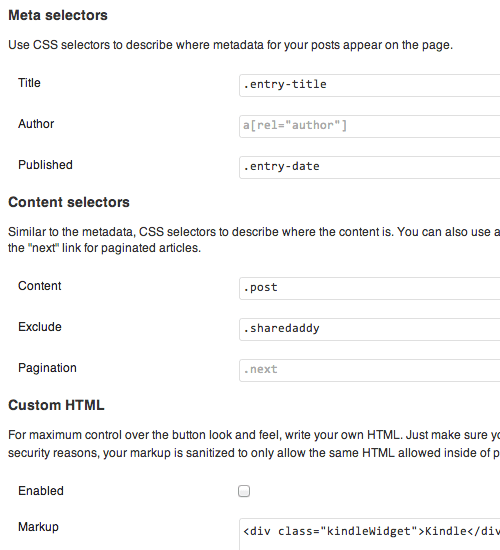 You can also set the plugin to only pull posts from a specific category. 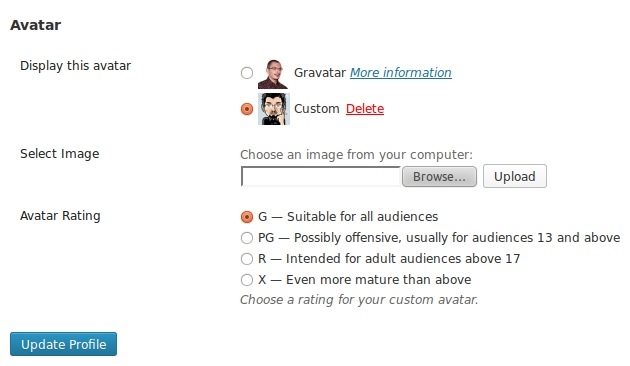 I’ve always been a little bit bothered that WordPress uses the Gravatar system for avatars, given that you need to sign up for a WordPress.com account in order to have a Gravatar. I think it would be far more sensible for website visitors to be able to set an avatar using a local image. As you can see, the plugin adds a simple action to the Profile screen which allows them to upload an avatar image from their computer. One of ManageWP’s key features is one click updates — it’s a bit of a lifesaver if you have multiple sites. However, you can take the process one step further with the Automatic Updater plugin. As you have no doubt guessed, this plugin enables you to set up automatic theme and plugin updates on your WordPress site. It sends you emails whenever a change is made (or attempted) to your site. This plugin is powerful and should be used with caution — under many circumstances you may not wish for themes and plugins to be updated automatically. Kindle has taken the world by storm over the past few years, but the devices’ ability to access websites and allow the readers to easily digest information is still limited. 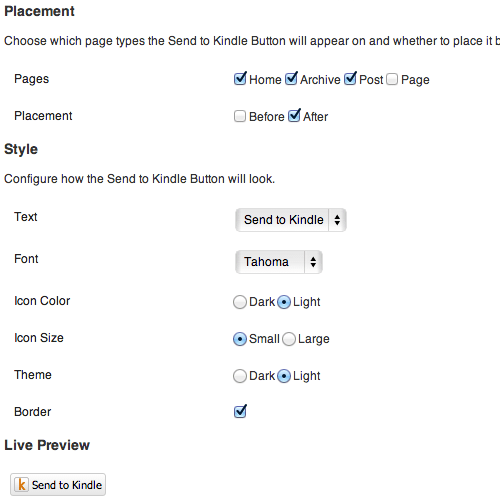 Send to Kindle intends to address that problem by adding a little button to your site that enables visitors to send a web page to their Kindle device. This has to be the most ambitious concept out of the ten plugins featured this month, which alone almost guaranteed its inclusion. The WordPress world certainly isn’t lacking in slider plugins but I felt that Logo Slider deserved inclusion this month on the basis that it offers something a little different. It is intended solely for the purpose of showcasing logos, which is of course a really handy function for graphic designers and the like. The plugin is simple to use and the settings are uncomplicated — you have control over the size, number of images to include, background color and arrow style. Finally, you can include any custom CSS if you feel like customizing the slider further. This plugin does one thing and one thing well: simply wrap a specified shortcode around content you have created on a post or page and it prevents that content from being seen until the visitor shares it via Twitter, Facebook or Google+. It’s nicely designed and doesn’t look at all obtrusive on your site. 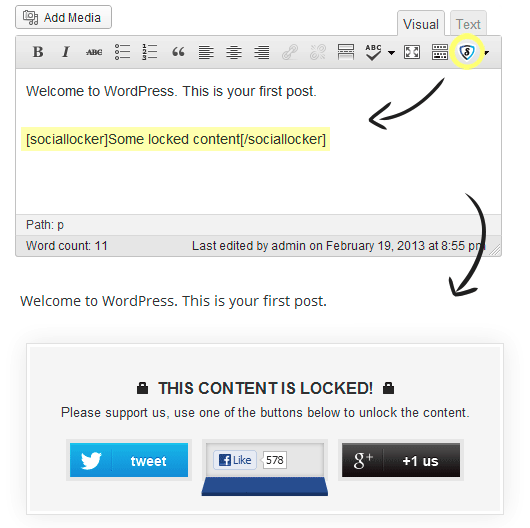 If you want to incentivize your site’s visitors to share your content then this is a fantastic solution. My top pick this month was developed by a bit of an all-star team: Pippin Williamson, Andrew Norcross and Tom McFarlin. Comments Not Replied To offers the kind of simple and blindingly obvious functionality that screams for inclusion in the WordPress core. 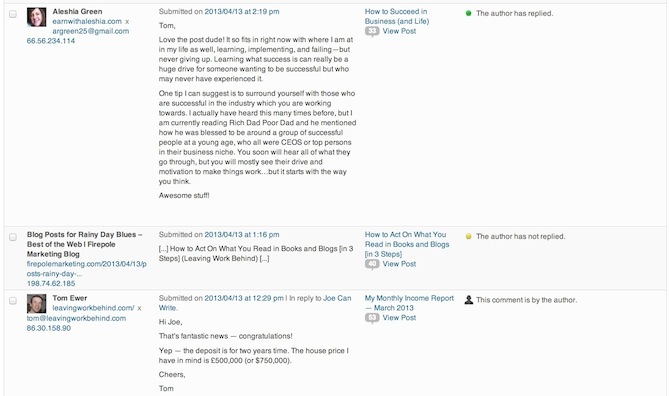 Once you’ve installed the plugin an extra column will be added to the Comments screen on the WordPress dashboard, the purpose of which is to show you which comments you have responded to and which you have not. This makes the comments moderation process just that bit easier by enabling you to tell at a glance which comments are in need of your attention. Generally speaking I am very careful about the plugins that I choose to install as I review so many, but I had this up and running on my blog within minutes of discovering it. If you own a blog that gets a more than a few comments per post then I would recommend that you do the same! 40Nuggets Smart Auto Newsletter Creator apparently is no longer available? Was this a free plugin to begin with? I visited their site and I’m seeing pricing from $1000-UP ===> Ridiculous. I found value in this article, bookmarked your site, and shared a link in my New Media Journalism class on FB. Question: What are a couple of solid plugins for social media sharing. I installed ‘shareaholic’ on a new site and it installed. Quit after four tries on my more established blog. I like their icons, but I only have so much air in my lungs. I need both content sharing buttons and links to my profiles on social media sites. Help? Thanks so much for featuring Comments Not Replied To, Tom. The guys and I really appreciate it – honored! Pleasure Tom — keep up the great work! #6 #1 are my favs. I used to use wordpress.com for my avatar until I finally discovered Gravatar. They are worth setting up because they give you a little profile and a link and they let you set up unlimited avatars for different URLs. I don’t disagree with your Darnell — I’m thinking more about the people who don’t know what Gravatar is and aren’t interested in getting an account. Basically anyone who isn’t familiar with WordPress!